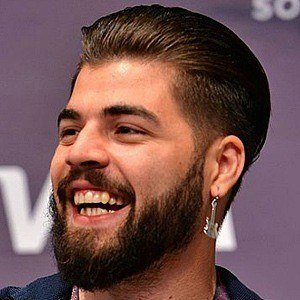 Rose to fame in 2017 representing his home nation Romania in the Eurovision Song Contest with the single "Yodel It!" The single was a duet with Ilinca Băcilă. He first gained public attention in 2014 as a finalist on the fourth season of Romania's X Factor. He competed as a member of Stefan Banica Jr.'s team. In 2015, he competed on Vocea Romaniei with Marius Moga's team. He was born Alexandru Ionuț Florea in Constanta, Romania. In the 2017 Eurovision Song Contest, he competed against Portuguese winner Salvador Sobral.